In a complaint filed Monday morning in the U.S. District Court for Minnesota, Ventura is suing the U.S. Department of Homeland Security (DHS) and its secretary, Janet Napolitano, as well as the Transportation Security Administration (TSA), and its administrator, John Pistole. Ventura accuses the agencies of violating his “basic rights to privacy and dignity, and his right to be free from unreasonable searches and seizures,” after he received a pat-down by a TSA agent at the Minneapolis-St. Paul International Airport in November 2010. Olsen said Ventura no longer flies on commercial aviation because he is unwilling to submit to either a pat-down or a full-body scan, putting his job as host of cable television’s Conspiracy Theory show, in jeopardy. Click here to read Ventura’s lawsuit. MINNEAPOLIS – Former Minnesota Gov. Jesse Ventura sued the Department of Homeland Security and the Transportation Security Administration on Monday, alleging full-body scans and pat-downs at airport checkpoints violate his right to be free from unreasonable searches and seizures. Ventura is asking a federal judge in Minnesota to issue an injunction ordering officials to stop subjecting him to “warrantless and suspicionless” scans and body searches. According to the lawsuit, Ventura received a hip replacement in 2008, and since then, his titanium implant has set off metal detectors at airport security checkpoints. The lawsuit said that prior to last November officials had used a non-invasive hand-held wand to scan his body as a secondary security measure. But when Ventura set off the metal detector in November, he was instead subjected to a body pat-down and was not given the option of a scan with a hand-held wand or an exemption for being a frequent traveler, the lawsuit said. It claims that under TSA’s policy, Ventura will be required to either go through a full-body scanner or submit to a pat-down every time he travels because he will always set off the metal detector. 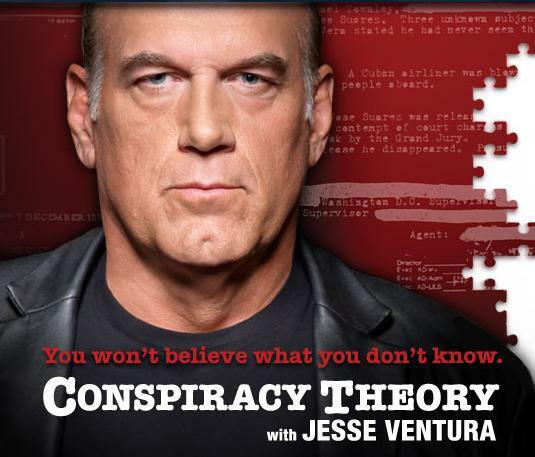 Ventura, who was Minnesota governor from 1999 through 2002 and is now the host of the television program “Conspiracy Theory,” did not immediately return a phone message seeking comment. The U.S. Attorney’s Office did not immediately return an e-mail message seeking comment Monday. The TSA’s website says there are nearly 500 full-body scanners in use at 78 airports. The scanners show a traveler’s physical contours on a computer screen that’s viewed in a private room. Faces aren’t shown, and the person’s identity is supposedly not known to the screener reviewing the images. Not all travelers are selected to go through the scanners, but the TSA requires people who decline to submit to pat-downs that include checks of the inside of their thighs and buttocks. – Freedom Watch with Judge Napolitano: 9/11 Report Is A Cover-Up From Start To Finish! – Jesse Ventura on CNN: They Spent 100 Million Dollars Investigating Clinton But Only 4 Million On 9/11! 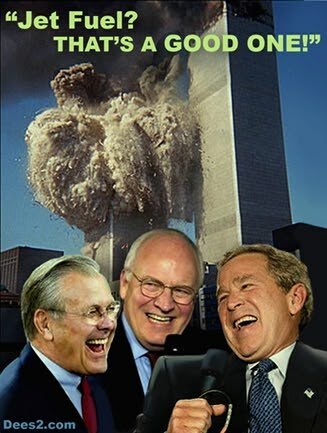 – Rumsfeld: Why not another 9/11? Rumsfeld said this the day before 9/11. The very next day America was under attack and the $ 2.300.000.000.000 were forgotten. See also: Financial Coup d’Etat by Catherine Austin Fitts, Former Assistant Secretary of Housing. I feel the governor is being harrased for telling the truth on his show and I feel that he should make a stand against the governmemt as we all should do because if we don’t we are not going to have anything to stand for May God Have Mercy on every one which he will not because this old world has gotten to wicked and it’s going to fall one way or the other. Buy anything you like at Amazon and use our link to enter Amazon and we will get some commission. Banking Barack Obama Bonds China Climate Change Collapse Crime Debt Donald Trump Economy Environment EU Europe Fed Federal Reserve Food Fukushima Germany Global Cooling Global News Global Warming Gold Government Health Israel Japan Middle East Migrant Crisis Military New World Order Nuclear Nuclear reactors Obama administration Politics Radiation Russia Science Society Stock Market Syria Technology Terrorism Trump administration U.K. U.S.